This product has been viewed 628 times. 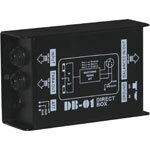 Direct injection (DI) boxes are used to convert high impedance unbalanced signals from guitars or other musical instrument pickups to a low level balanced output signal. 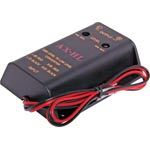 This enables the signal to be transported over long distances without picking up noise or hum. Earth and hum loops are isolated from powered equipment such as keyboards. It can also be configured in reverse to convert a low level balanced signal to a high level unbalanced signal ie: could be used to feed a microphone signal into an auxiliary input of an amplifier or mixer. 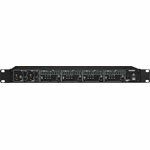 Low level 600O input/output via 3 pin male XLR. 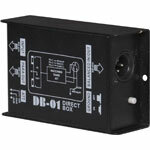 Two high level 50kO inputs/outputs via 6.35mm jack sockets. 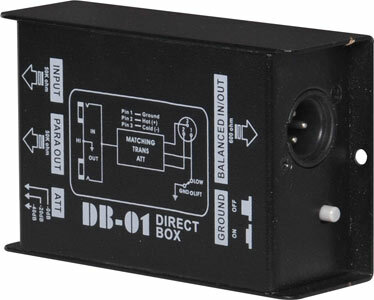 For extra versatility an earth lift switch is provided to eliminate hum loops and a signal attenuator switch offering 0dB, -20dB and -40dB settings for optimum system performance. 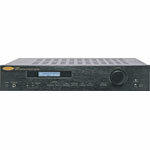 This unit equires no power and is housed in a sturdy steel case. 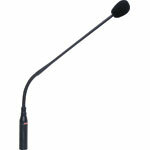 Perfect for live sound and permanent installations. Dimensions: 120W x 76L x 45Dmm.